Our breeding pair 23/2019 is now updated at our web page and consist of two nice one loft racer from Corabia 2016. The sire won 11th ACE bird in Corabia OLR 2016 and 11th prize in the Final (565km). 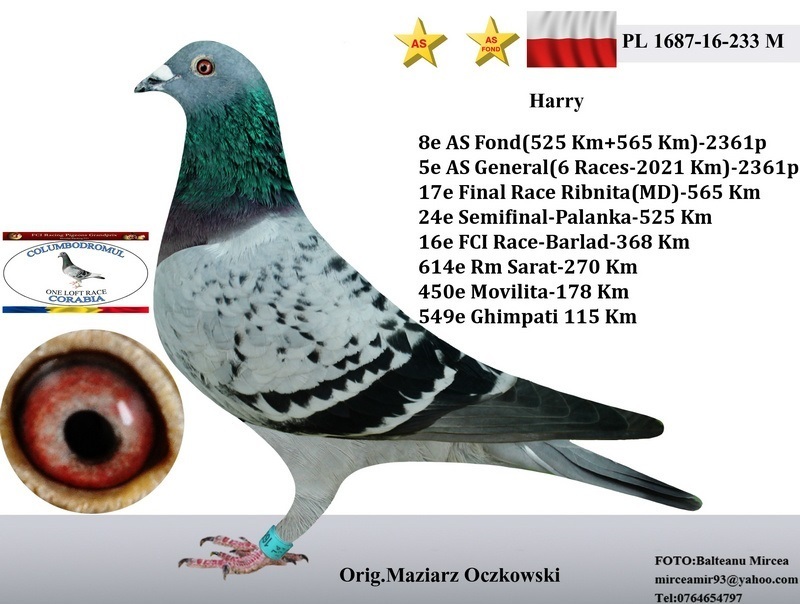 This bird is from Cristea Florinel and has several top racers at his bloodlines. The hen won 5th ACE bird in Corabia OLR 2016 and 17th prize in the Final (565km). This bird is from Maziarz Occzkowski. An interesting combination witch will hopefully give us some nice long distance youngsters. Typical results raced by this pair.